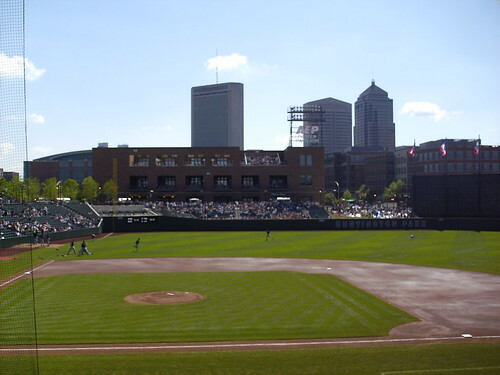 The view from Huntington Park Lane in Columbus. 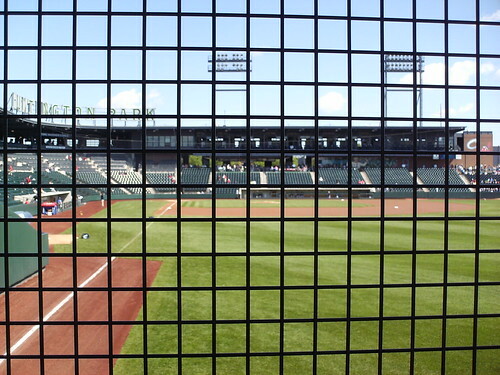 The ballpark features a series of "knotholes" along the right field fence that can be used by passers-by on the street to view the game inside. 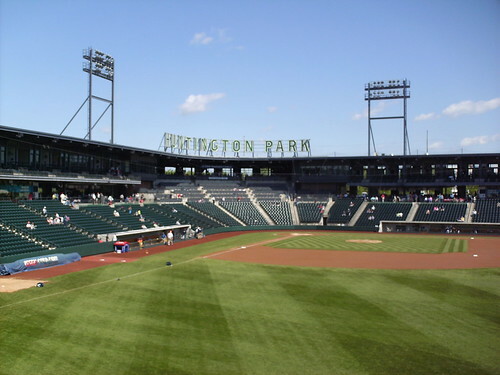 The grandstand and luxury boxes at Huntington Park. 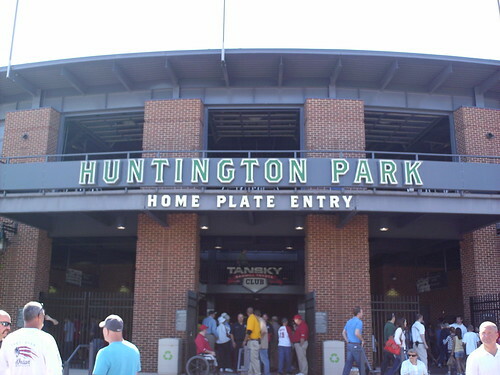 The view from down the first base line at Huntington Park. 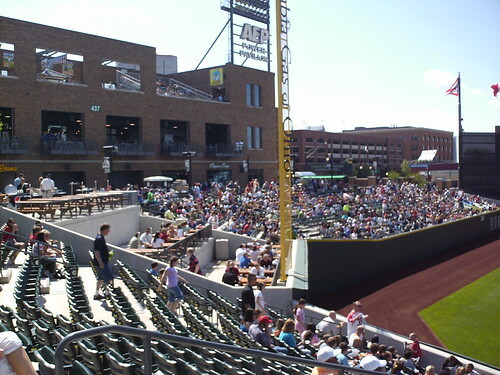 The brick building behind the bleachers in left field houses the team store, a restaurant where patrons can view the game from balconies, and the "Power Pavilion" rooftop bleacher seating area. 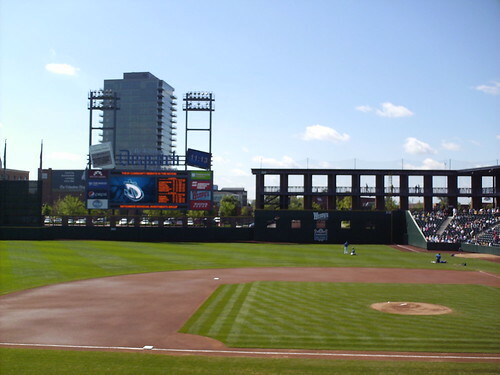 The view from down the third base line at Huntington Park. 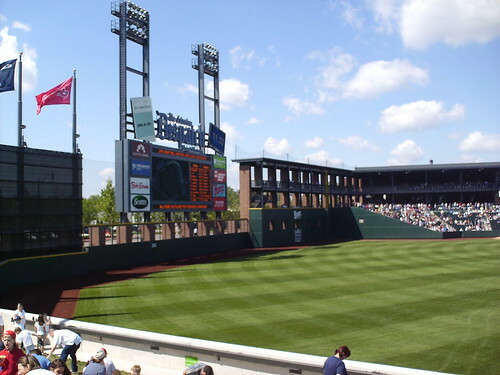 The "knotholes" run along the outfield wall, and a balcony area with windows and rails for fans sits inside the right field wall. 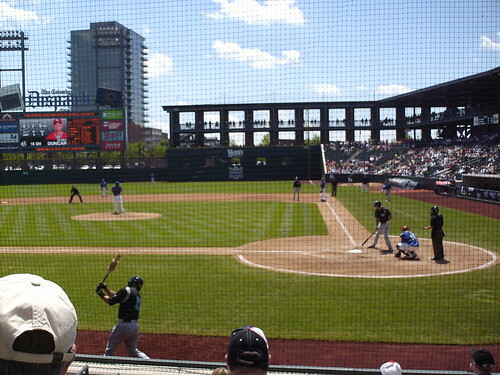 The view from just beyond home plate at Huntington Park. Downtown Columbus towers above the park. 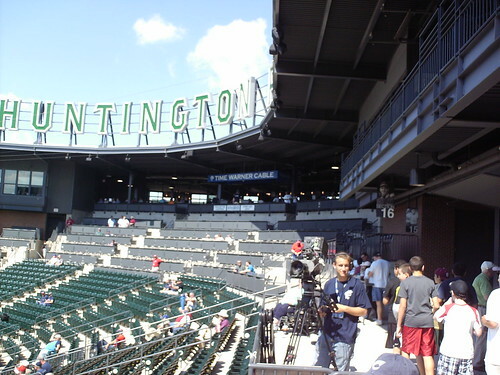 The loge seating area and pressboxes at Huntington Park. The radio and TV announcers are actually outside, just a row up from the fans. The right field corner. A picnic area sits next to the foul pole, and the restaurant balconies and rooftop pavilion offer several unique ways to watch a game. The outfield and scoreboard. The field forms a sharp corner in right where the stands meet the wall. The small, newspaper shaped scoreboard above the main board scrolls headlines from the Clippers and baseball history. 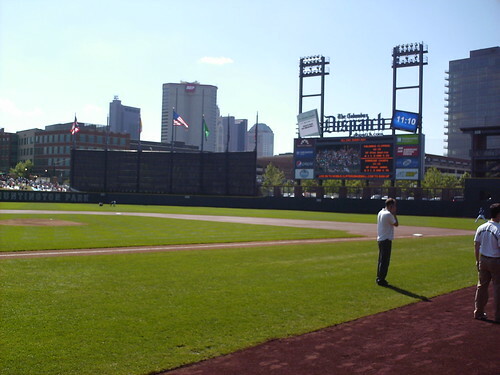 The Columbus Clippers on the field at Huntington Park. Former Red Sox outfielder Chris Duncan at bat for the visiting Syracuse Chiefs.